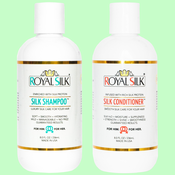 What distinguishes this luxury hair care line by Royal Silk® is our unique formulation of high-quality silk proteins that will enrich your hair and deliver superior results. 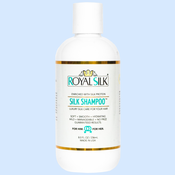 Silk Shampoo™ by ROYAL SILK® is a mild, smooth, hydrating shampoo. 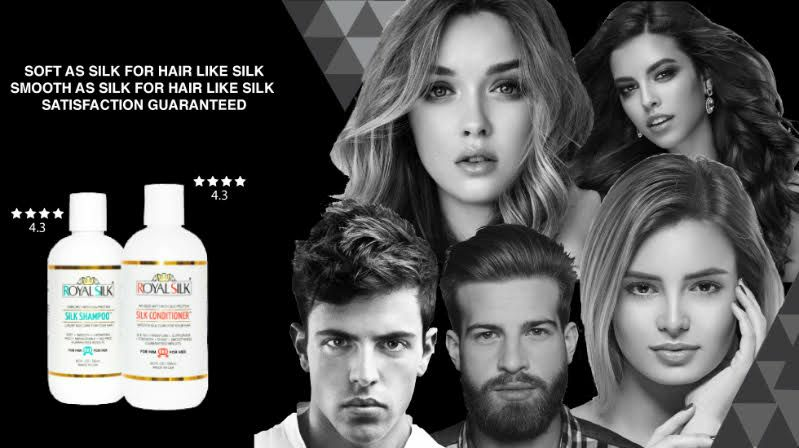 It is soft like silk to make your hair like silk. This ultra-soft shampoo is suitable for all hair types, including colored hair. 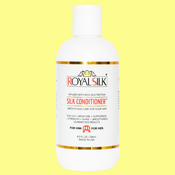 And with Silk Conditioner™ by ROYAL SILK® you get ultra-smooth silk care for your hair. The conditioner is infused with rich silk proteins. With its use, your hair will gain noticeable strength, shine, and suppleness. We recommend both these hair care products for men and women of all ages.